With ever-increasing needs, the need for money is increasing too. No matter in which part of the country you stay, the need for that extra money arises every now and then. It can be a medical emergency or a well-planned decision to buy some large asset. This is where the loan app comes in the picture. Loan apps provide instant personal loan online with minimum documentation. The loan duration is short compared to the traditional bank loan. The process is much shorter than traditional bank loans. You can opt for a personal loan online with a hassle-free process. This is the reason the loan app is popular among young professionals. But how do you choose the best loan app for your requirement? The first steps to check the eligibility before even applying for a personal loan online. Most of the loan app requires you to be a salaried employee and you have to be between 23 years to 58 years old. Your salary should be a minimum of INR 15,000 to avail the instant personal loan. The loan amount differs from app to app. Mostly the loan amount ranges from INR 10,000 to INR 2 lakhs. 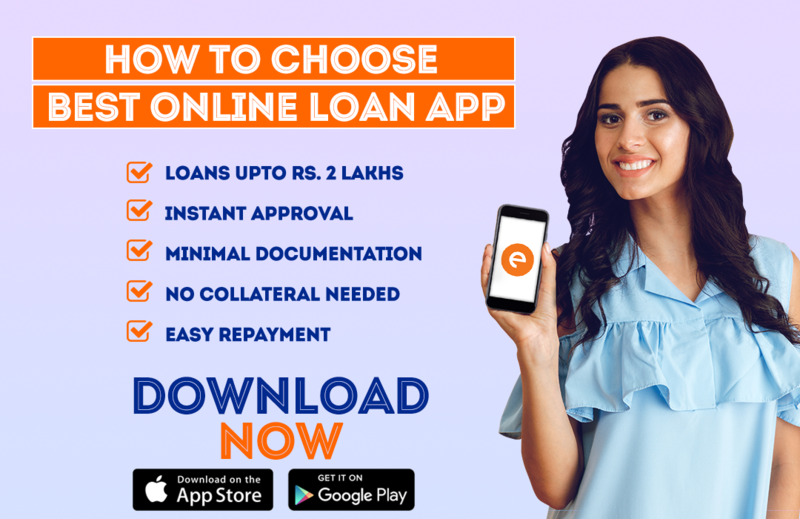 If you require a loan for 5,000 or 5 lakhs you need to check the loan app first. Be it any loan app, you will need to submit your identity proof and address proof. These include your Pan card, Aadhar card, passport and driving license. Some of the apps might ask for all the documents whereas few will ask just for one of these. As per your document availability, you can choose the loan app. Your interest rate on the instant personal loan will depend on the loan amount, but the rates differ from app to app. Loan app like CASHe offers interest rates starting from as low as 2.5%. Check the rate depending on your preferences before selecting a loan app. If you have a bad credit history which might affect your score, then you should definitely opt for a loan app which doesn’t consider your loan history. Some of the study your social profiles to define your loan quotient. Once you have checked all your personal loan requirement, check the credibility of the app. Make sure the app is state regulated organization. If you are looking for a personal loan online, that means you are in need of cash for the immediate purpose. If the app takes a long time it won’t serve the purpose. Instead, go for a loan app that provides quick approval as well as quick disbursal. By now you must have shortlisted at least 3 apps which fit your requirement. Even though you know what you want you might need assistance through the application process. Check the app for 24/7 chatbots, where you can ask your query and get required guidance. Before selecting any instant personal loan app, keep these 8 points handy as your checklist.